Kathy Whitfield has been stepdancing for over 30 years, the first ten of those in competition, where she competed in numerous feiseanna (Irish dance competitions) and reached the Championship Level. 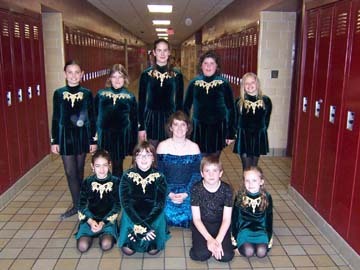 Having watched many interested students leave Irish dancing because they wanted a less intense experience than that provided by competitive schools, as well as many adults frustrated by the tradition of excluding adults from stepdance instruction, she opened Rince Na Saor in 1997 as a means for students of all ages to study Irish dance in a more relaxed, recreational environment. She lives in Greece with her husband, Art, and has two sons, Kevin (31) and Brendan (24).